Today we show you 2 interviews with Lana Turner. The first ons is from “Hour Magazine.” “Hour Magazine” was an award-winning syndicated daytime talk show hosted by Gary Collins, featuring a variety of celebrity guests, current affairs, cooking and popular culture. Collins hosted the talk show “Hour Magazine” from 1980 to 1988 and interviewed Lana Turner at the 27th of Sept. 1982. 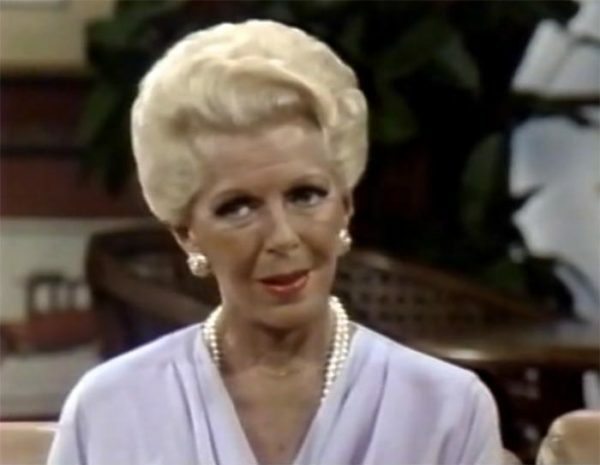 The second one is Joan Rivers interviewing Lana Turner on “The Tonight Show” at the 28th of Sept. 1982. “The Tonight Show” starring Johnny Carson is an American talk show hosted by Johnny Carson from 1 Oct.1962 through 22 May 1992. Johnny Carson’s “Tonight Show” established the modern format of the late-night talk show: a monologue sprinkled with a rapid-fire series of 16 to 22 one-liners (Carson had a rule of no more than three on the same subject) was followed by sketch comedy, then moving on to guest interviews and performances by musicians and stand-up comedians.